Great Wide Open will build a set of outdoor communal dining tables to help Door Dash drive brand awareness and sales. Diners can order food to these tables, relax in the shade and enjoy life. Bonus points if the table design can scale and transform into an impromptu food market. For this concept, we're building a natural wood, craftsman style table and bench. An upper frame and canopy will be useful for branding and switching up the mood from day to night. Door Dash branding will live on the table and benches, which will be coated in outdoor poly withstands the weather. A natural wood outdoor trestle dining reminiscent of the beach and good quality craftsmanship. The large table surface invites folks to come utilize it. Benches create community. They invite strangers to sit beside each other, interact and share. 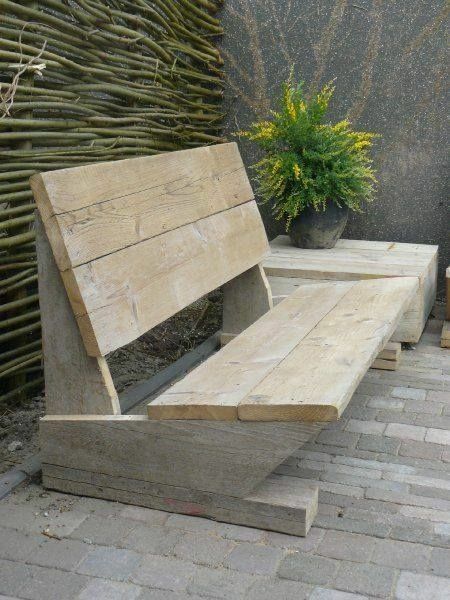 Our wooden beach bench will feature a reclined back that allows people to kickback and relax a bit. We'll use a common board like pine and pair it with a modern (but not fussy). Finally, it will be sealed in a matte clear outdoor poly for protection against the elements. 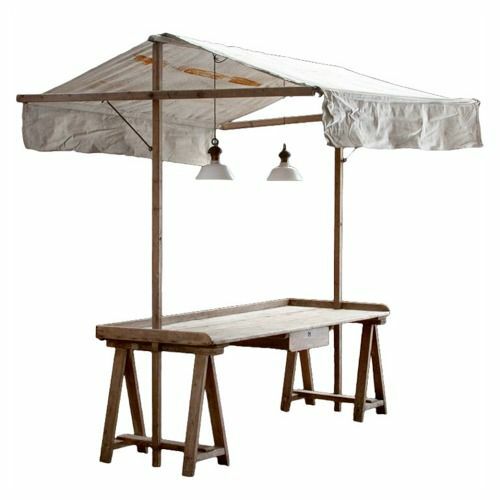 We'll add an over head frame to hold a canvas canopy above the table. This upper frame offers an opportunity for highly visible Door Dash branding and/or partner brands. With the overhead framework, multiple tables can be brought together and create a larger shelter. The framework also allows us the flexibility to lose the canopy in the evenings and strings battery operated LEDs and other dressings to create an entirely different mood. ...we could laseretch it, which will give a bolder darker mark in the wood.